A secure financial translation service accredited to ISO 27001 data security framework. Empower your organisation with the latest information no matter the language and gain an international voice to trade with customers all over the world. With our financial language platform you’ll be able to accurately translate anything from around the world in real time. Putting the hidden knowledge of the world’s financial markets at your fingertips. All data is guaranteed to be secure. 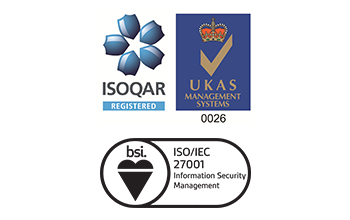 We are independently assessed and accredited with the data security standard ISO 27001. Our service is trusted by security forces and important financial institutions the world over. Data security is built into our DNA, we treat everything with the respect it deserves. Your international customers demand you communicate with them in their mother tongue. When a global tone-of-voice is replicated across social media, written word and face-to-face meetings our service will be there to ensure consistency and compliance of message. Using real people located in the world’s financial hotspots we use the right language to help you to establish and protect a global brand. When world events move quickly you need a trusted language partner you can rely on. All financial translations are carried out by skilled mother-tongue linguists, working only into their native language. Each one has a background in finance and a proven ability to deliver the highest quality translation. 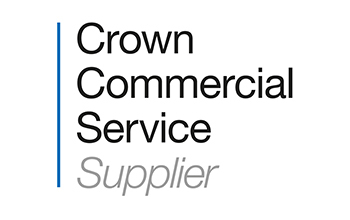 They work closely with you throughout your project, ensuring you are kept up to date with developments and progress. All our financial translation processes adhere to ISO 27001 for data security, accredited by the British Standards Institute. Quality management is certified to ISO 9001 by independent organisation ISOQAR. In addition, all staff are security cleared to at least CTC level and are used to handling secure documents on a day to day basis. Every client is paired with their own dedicated management team. This ensures you have a direct contact who understands your requirements and is available to keep you updated and answer any questions you may have. Working with us is easy, we adapt our process to suit your existing individual workflows. 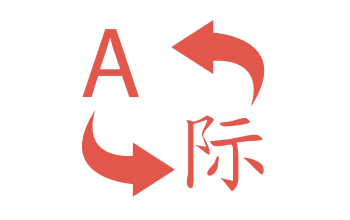 This ensures all translations are delivered efficiently without complexities. Just send us the information and the languages you need and you’ll receive it back, ready to go. Are you looking for financial translations that are legally compliant? Features of our legal translation service can be applied to any type of project you require, including financial translation. For more information visit our legal page or contact one of our advisers directly to discuss your project. Translation from one language to another may appear to be a relatively straightforward process, but to deliver a truly natural sounding conversion requires more than just linguistic expertise. A financial translation must be performed by a professional linguist with relevant experience of the financial industry. They must have a deep understanding of the associated financial terminology in both the source and target language. In addition to having a comprehensive knowledge of financial terminology, an ability to accurately communicate these details using equivalent local language is imperative. In other words, the intentions of the original author must be portrayed as if they had written the localised document themselves. Finally, a first-class financial translation will also take the culture of a target market into account during production. Failure to do so can lead to misunderstandings, the use of awkward or uncommon words and phrases and an inappropriate style or register. Translated financial facts and figures must always be presented in a manner that meets the standards and norms of the region for which they are intended, a direct translation can often be jarring and obvious to a native audience. All of our clients benefit from translations that address these points without exception. We guarantee that when you communicate with overseas audiences through us, you are doing so fluently and exactly as intended. We have more than 25 years experience working with a range of financial clients. You can be confident in our ability to deliver the highest quality linguistic service for your project in virtually any language. We are one of only two official language suppliers trusted to deliver financial translation to the UK Government. Our specialist services have been proven to deliver the highest quality and efficiency at an affordable price. Get your free financial translation quote today!